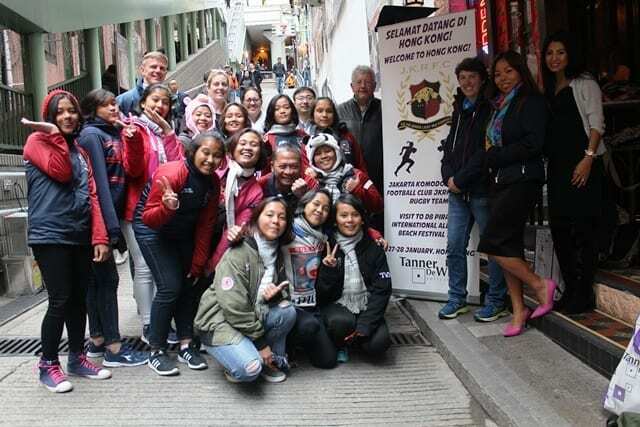 Tanner De Witt, one of Hong Kong’s largest independent local firms, made sure to hit the ground running at the beginning of 2018 with an array of sporting events and speaking opportunities. Insolvency and Restructuring Partner Ian De Witt spoke at the IBA Law Firm Management Conference on Growth Prospects for Law Firms in Asia at the Mandarin Oriental Hotel on 18 and 19 January, where he joined the panel “Using technology to enhance efficiency and meet client needs more closely – will innovative fee structures drive better value?” alongside several high-profile lawyers from the region. 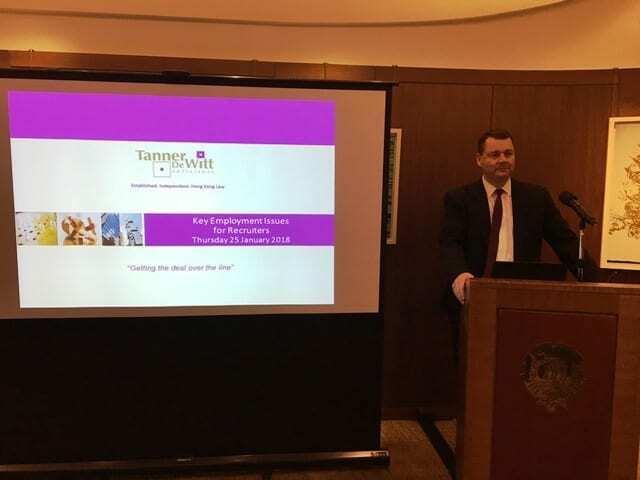 A week later, Employment Partner Russell Bennett gave his annual talk “Key employment issues for recruiters” to an audience of nearly 40 at the Hong Kong Club. Created especially for labour industry professionals, Russell’s talk is all about identifying roadblocks and getting deals ‘over the line’. Fans of local sporting events will have noticed Tanner De Witt’s presence at the Hong Kong Football Club’s Old Mutual International Men’s Premiership Super Saturday rugby tournament, the most recent of which was held on 13 January. 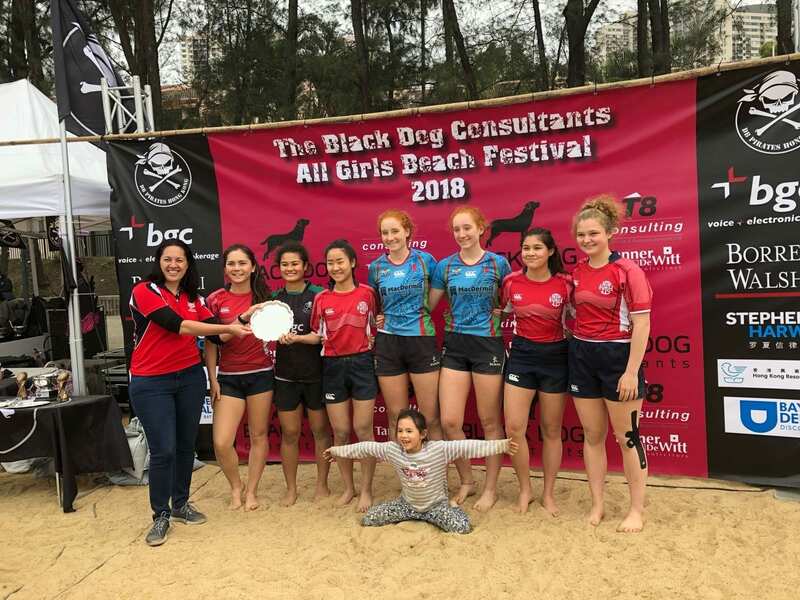 We also took the opportunity to support the DB Pirates All Girls Beach Festival 2018 on 27 and 28 January, which saw plenty of girls’ rugby teams battling it out on Tai Pak Beach in Discovery Bay. One of the most inspiring teams in the tournament was the U16 Jakarta Komodo Dragons, which is comprised of 20 players from the Mama Sayang Orphanage in the Indonesian capital. We had the pleasure of hosting the entire team for lunch on 29 January, where we learned more about the team and the challenges they’ve overcome to get to Hong Kong. We wish the Komodos the very best in their rugby journey and hope to see them again in Hong Kong very soon.